I figured it would be interesting to have a thread to compile and discus some current (or past) examples of details on motor vehicles that we find nice, interesting, or plain bad. Designs are getting more and more wacky for better or worse and the results are often hit or miss. It's such a beautiful way to negotiate two surface planes on the face. The trim piece is deeper than it is tall with a nice gap/reveal around the outer edge. The mesh itself is gorgeous. Also really nice how it's moderately concave and is recessed below the hood line. 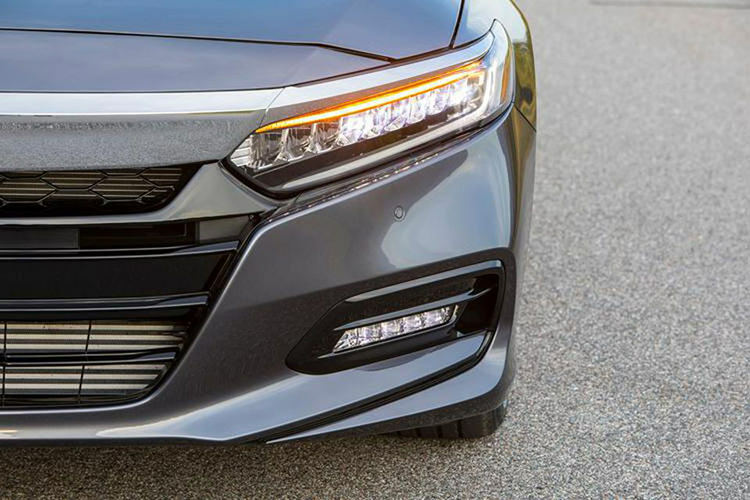 For me, the front end of the Accord is a combination of some of the best and ... least complete(?) detailing going on now at Honda. I 100% think these are the best headlights in the pedestrian car class right now. They've done a stellar job keeping them clean and modern but interesting with the LED array repeating in a simple line/pattern. There isn't 10 different doodads and spiraling bulbs inside them (no headlight "fishbowl" as the designers at Hyundai would call them). There's just that single array with a thin indicator bar above and the yellow reflector hidden on the side face. I am ambivalent to the chrome uni-brow on the rest of the car's face and actually prefer the grille from the Civic more. The shapes and very well integrated overall though... up until the bare grille. I honestly wonder if Honda ran out of time and forgot about what surface to fill it with. There are a total of 4 different surfaces in there, thankfully hidden partially by all the black. Looking at the new Insight makes me think further than there was a face in mind that just slipped through the cracks. They better fix it for the MMC. Running off Mazda's successful job with the CX-5, I think The new A8 is on the opposite side of the spectrum in regards to detailing. The thick, flat chrome border around the grille is just awful. Such a lazy and slapdash effort. The result is cheap-looking and dull. This is made worse by the obnoxiously large and complicated headlamps and equally flamboyant fog lamp housing/intakes. 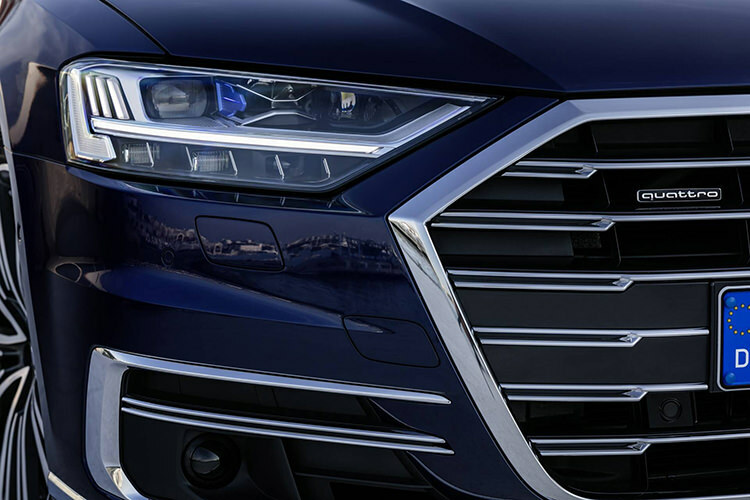 One thing I can comend Audi on doing is aligning the horizontal slats of their grill with individual elements bordering it to the sides. The LED bar, bottom edge of headlight, etc. all indirectly run into the grille nicely. 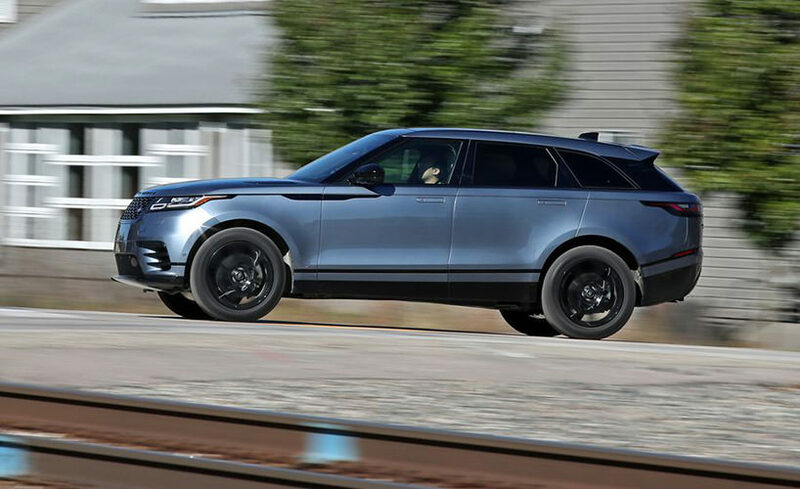 The RR Velar is wonderfully detailed all around, but my favorite part is the alignment and symmetry of the headlights, side vents, and tail lights. I also love how that strip along the bottom starts from the front intakes (also wonderfully detailed with integrated DRLS) and runs up parallel to the body panels. Last edited by Nicktyelor; 04-12-2018 at 01:42 AM. I love the sublime simplicity of the VW Rabbit (Golf 1). The TVR Sagaris is to wonderful for words. 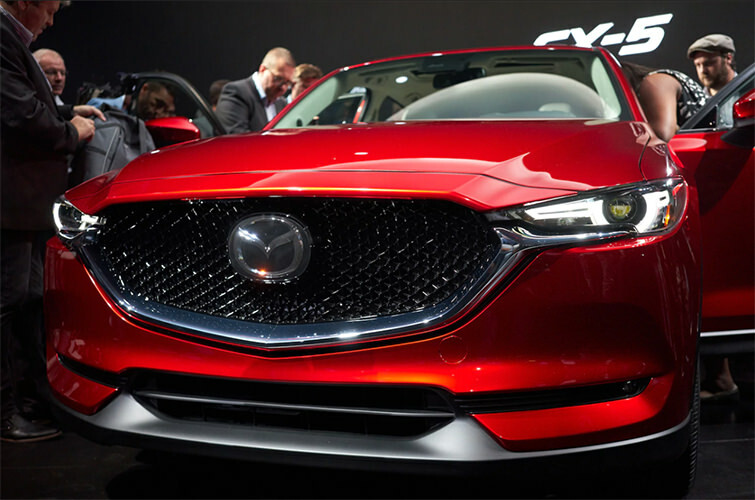 I really like the updated CT6's face and tail, but I prefer the Escala. The Lagonda Taraf is a thing of perfection. Are there particular details about those cars that you like? 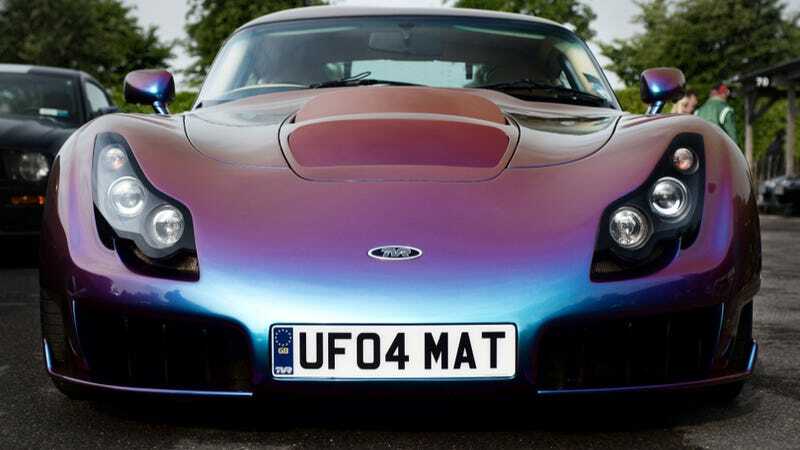 TVR makes loveable kit cars imo, and their detailing is suitably wacky. Top Gear has a great segment on the Sagaris. Notably those front fender vents, which for some reason I don't hate. TVRs aren't kit cars. The definition of a kit car is that you buy a new body for your Beetle or you buy a rolling chassis and a body and you build it in your garage from parts you scrounge. The Sagaris was 100% bespoke. If in your view the new Griffith is a kit car because of the plethora of Mustang parts, then the new Aston Martins are kit cars for the plethora of Mercedes parts in them. The stance of the Sagaris is angry and menacing. It's low and from the side looks like a flying fist. The "eyes" glare at you and the slashes on the fenders are almost otherworldly looking given that their function as vents was prevented for street use. The VW Rabbit--I think--is a classic because it revolutionized the look of small cars in the American market. Its proportions are excellent. The sharpness of the lines makes it look almost elegant even to this day. VW has never achieved such styling perfection since and in fact has embraced ugly more than beautiful. As for the CT6 it's much the same for me as the Rabbit. The car has excellent proportions. The sharp lines give it a stance and purpose. The blade "eyes" and new more menacing face are excellent. Now take that level of linear perfection and turn the dial up to OMG and you have the Taraf. It's so simple looking that it hides just how clever the lines are to convey stance and gravitas. The Taraf makes the Mercedes S class look as plebeian as a Checker cab. Last edited by swizzle; 04-14-2018 at 07:13 PM. To be clear, I know TVRs aren't actually kit cars. I think they look like them. These kind of headlights are very common among kit or home-built cars. Last edited by Nicktyelor; 04-14-2018 at 03:50 PM. Clearly someone needs to be Mr. Right. No, I'm clarifying my initial comment. You made a point to refute it and it was from a misunderstanding. I love TVRs and their attention to detail, but I think my favourite example is the hood of the TVR Tuscan. There's a panel at the front that hides all the oil, windscreen wiper and breaking fluid reservoirs and is situated over the rest of the hood which is clam shell. It looks like a piece of silk draped over some lovely curves. It's a fantastic design and looks unlike anything else on the road. But my favourite car for details ever must be the Pagani Zonda. I never liked the design until I saw a C12 in person. Just google 'Pagani engine bay' to see what I mean. There's so much to take in, and it's all so wonderful it's kinda sad that it's all usually hidden away. It's like an intricate timepiece. Absolutely stunning. I've often regarded TVR as such, but then again Lotus wasnt too far away from that either until the Evora 4x0 series.